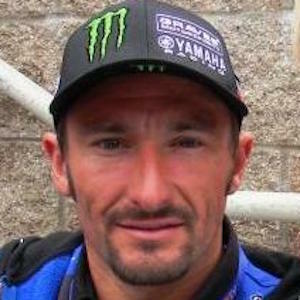 Professional motorcycle racer known for his time in the AMA Superbike Championship, where he's spent most of his career. He competed in MotoGP in 2011. He started racing professionally in 1996 and first joined AMA Superbike in 2003. He took a hiatus from Superbike from 2005 to 2009, but upon returning won championships in 2010, 2011, 2012, and 2014. His wife, Melissa Paris, has also raced professionally. After Colin Edwards was injured in the 2011 Malaysian Grand Prix accident that killed Marco Simoncelli, Hayes joined Yamaha's MotoGP team.